Photographic displays covered the history of the town streets and pubs, industries of the district, the castle, Neath Abbey, churches and chapels. Briton Ferry, famous people, the Gnoll Estate and Alfred Russell Wallace. This is a book whose lavish appearance is matched by the substance of its content.” Volume Two promises to be bigger and better! 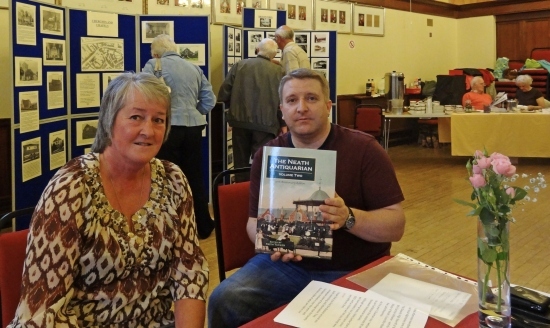 Here is a short slide show video of the event at Neath Town Hall.